This site is dedicated to Laksmi’s food writing. 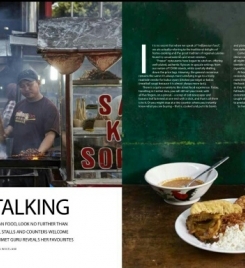 Since writing her first restaurant reviews for The Jakarta Post, in 1996, under the pseudonym Epicurus, she has come up with five volumes of The Jakarta Good Food Guide (JGFG), the first independent restaurant guide to the city. The first were two editions of JGFG 2001, followed by JGFG 2002-2003, two editions of JGFG 2008-2009 and JGFG 2009-2010 (a 100-restaurant supplement to the revised version of JGFG 2008-2009). Laksmi has also written a few essays on food for various international journals and still writes the occasional restaurant reviews for The Jakarta Globe. Laksmi’s Foodprint combines her Jakarta restaurant reviews and her musings on food from her travels in the archipelago and around the world.